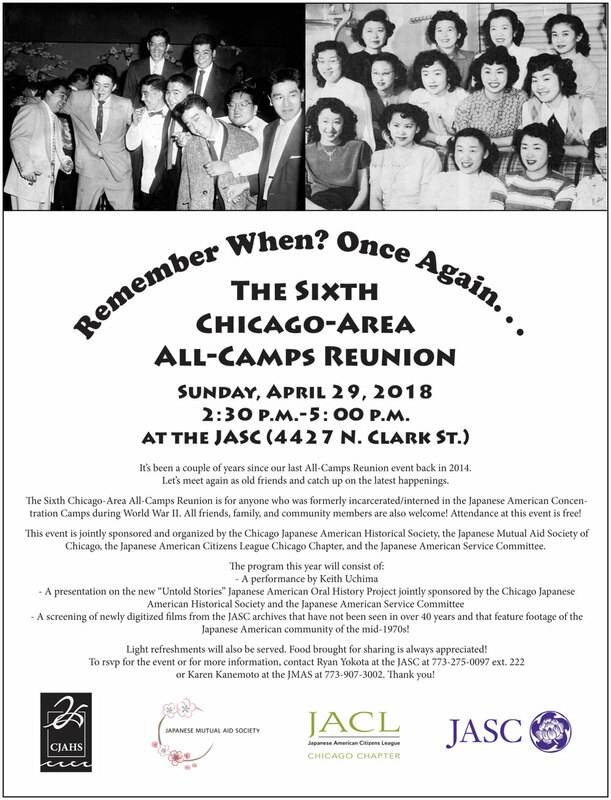 The Japanese American Service Committee (JASC) and other local organizations are sponsoring a reunion for anyone who was formerly incarcerated/interned in the Japanese American Concentration Camps during World War II. All friends, family, and community members are also welcome. The program will include a performance by Keith Uchima; a presentation on the new “Untold Stories” Japanese American Oral History Project; and a screening of newly digitized films from the JASC archives that have not been seen in over 40 years that feature footage of the Japanese American community of the mid-1970s. Click to enlarge the flyer above for further information.